The Joint Entrance Examination Advanced of 2019 for entrance in IIT colleges is scheduled for 19 May, 2019. The examination will happen in 2 shifts. The subjects included in the syllabus are – Physics, Chemistry, Biology and Architecture Aptitude Test for B.Arch students. Students have already started preparing for JEE ADVANCED exam since it is held at national level. Every student has their own way strategy to solve questions before time. 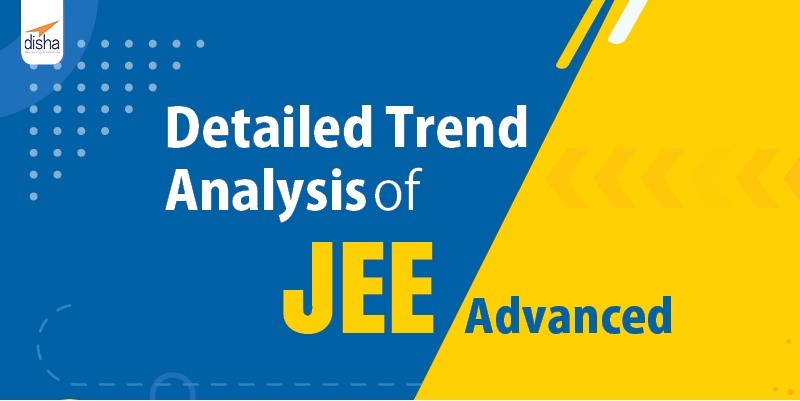 Here we give you the trend analysis of past two years of JEE ADVANCED PAPER. This analysis will help students in understanding the importance given to each topic. Students are advised to revise thoroughly specially the chapters and topics of Inorganic Chemistry. The difficulty level in Chemistry is always from moderate to difficult. It is very important to be clear about the facts and properties. Students are suggested to revise these topics- Alcohols, Phenols and Ethers, P-Block Elements. Students have to make sure to remember all the formulas because each year there some students find the Maths paper to be lengthy. Questions on combinations and other numerical questions can take up a lot of time if students have not practiced problem solving according to time strategy. Questions that carry more importance in JEE ADVANCED 2018 exam were- 3-D Geometry, Applications of Derivatives, and Theory of Equations. Both the papers of JEE ADVANCED 2017 were analyzed to be from moderate to difficult level. But compared to 2016, it was considered easier. The questions were of multiple choice questions, integer type and passive with single choice questions. Physics was considered moderate to difficult by many students as it is every year. Physics questions included a mix of conceptual and formula-based. In Physics, some questions from Magnetism were a bit tricky. As long as the students have revised the basics of each topic, scoring and finishing exam on time will not be a problem. The important chapters in this exam were- Thermodynamics, Electromagnetic Induction, Optics, Fluid Mechanics, and Rotational Dynamics. Compared to last year, some of the questions in Chemistry were difficult to solve. Concept based and a lot of calculation based questions comprised of 2017 exam. Fact based questions were a bit tricky. Revision of concepts and thorough understanding of formulas is very important. The maximum weight age was given to few of these topics- Aldehydes, Ketones and Carboxylic Acids, Atomic Structure, Organic Chemistry, Hydrocarbons, P-Block Elements. Many students found JEE ADVANCED 2017 maths exam to be moderate to easy level. If a student is clear about the basic concepts than finishing the paper well before time will be easier. A good revision of facts and formulas will be of great help. There were many questions from these topics- Application of Derivatives, Circles, Parabola, Definite Integral, Matrices, 3D Geometry, Theory of Equations. Lots of students use and study the trend analysis in order to strategize their daily study schedule. Students can understand which types of questions are important and time management on each topic becomes easier.